Here you can find all info about Alpine Rocket from SwissSeeds. If you are searching for information about Alpine Rocket from SwissSeeds, check out our Basic Infos, Degustation, Strain Reviews, Lineage / Genealogy, Hybrids / Crossbreeds or User Comments for this cannabis variety here at this page and follow the links to get even more information. If you have any personal experiences with growing or consuming this cannabis variety, please use the upload links to add them to the database! 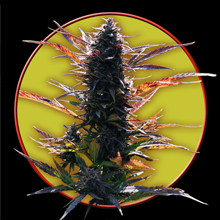 Alpine Rocket is a mostly indica variety from SwissSeeds and can be cultivated outdoors. 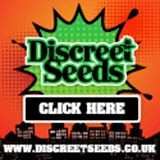 SwissSeeds' Alpine Rocket is/was never available as feminized seeds. Sie stammt ursprünglich aus den Alpen und dem Vorderorient. Es ist eine kräftige Sorte und wächst in einer Höhenlage von bis 1000m. Sie hat mittelgrosse Blätter, die Ende Blütezeit gelb, leicht orange werden. Die Blüten sind rosafarbig. Eine sehr stark duftende Pflanze, deren guter Geruch zugleich lieblich (süss/mild) und pikant ist. Dieser Hanf weckt das Verlangen nach fernen Reisen und zu Träumen vom verschwundenen Paradies. Es ist eine starke und eher grosse Pflanze. Es braucht 2-3m² pro Pflanze. Ende April im Topf anpflanzen und Mitte Mai in den Boden umpflanzen. Oder ab 10. Mai bis Ende Mai direkt in den Boden pflanzen. Gartenerde für Sämlinge oder gut drainierte Erde. Stickstoffhaltigen Dünger geben, wenn die Pflanzen 20cm Höhe erreicht haben. Ende Juni einen kompletten Blütendünger für Jahrespflanzen in flüssiger Form geben. We've collected strain info from one grower for Alpine Rocket. Alpine Rocket gets 7.00 of 10 possible Points in the average! The seedfinder users tested Alpine Rocket and uploaded information about the effects of SwissSeeds' Alpine Rocket. Here a short overview, click to the charts or links to get an exact description and find similar cannabis varieties! Click to show all parents of Alpine Rocket in our dynamic family tree map. Altogether we've collected 1 user comment about SwissSeeds' Alpine Rocket. Unluckily not one of this comments is in english! To read them anyway, please click on one of the following links: german (1). Do you know something more about SwissSeeds' Alpine Rocket? Please help to make this database better and upload/connect your information here! Pictures speak louder than words! Upload your "Alpine Rocket" Photos here and help other growers to get a better impression of this variety. You have grown Alpine Rocket together with another variety? Please fill out our Strain VS. Strain direct comparisation form! Our strain reviews are multilingual, searchable and can be very detailed - including data about the grow, aroma, effects and taste! Please upload your Alpine Rocket Review here to help the other seedfinder users! You have experience with the medical qualities of Alpine Rocket? Sharing your information here maybe can help other people! You've stumbled upon a Alpine Rocket related thread into a forum or growers community? Connect it here and enable othe users to find this information fast and easy! You found a related video with additional information or grow-infos about Alpine Rocket on YouTube? Please connect it here to the strain info page!